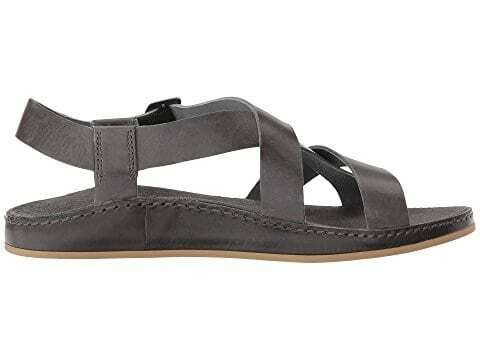 If you wear a lot of white, you will really appreciate the beautiful otter gray leather Chaco Wayfarer Sandal. Aren’t they pretty? This is the Classic Z Sandal, but in leather. 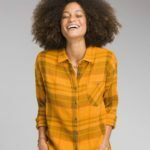 They do come in other colors, but that gray is so unique and so perfect to wear with white linen, white jeans, dresses, etc. They also look great with cropped blue jeans. What I love so much about Chaco is the arch support. If you need a lot of support like I do, chances are you will love these sandals. 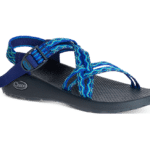 The soft suede footbed with LUVSEAT midsole provides comfort–I actually like it better than the rubber I’m used to with my other Chacos. No break-in time was necessary for me with Wayfarer. 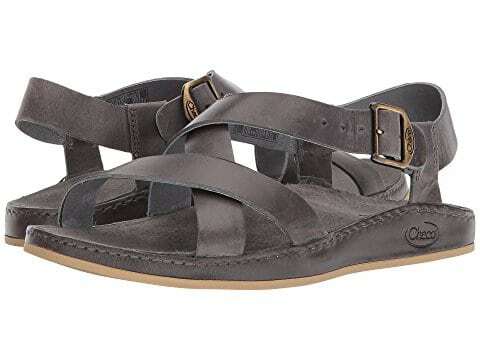 That’s unusual for me in a leather sandal, usually the straps bother me those first couple of times, but I wore these all day long in total comfort, and didn’t want to take them off. 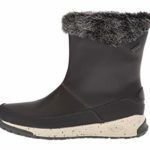 I’ve since worn them on different terrains, on rain-soaked sidewalks and they remain fabulous. I love that they match all my clothes. These are versatile sandals you can wear casual or dressed up with a cute sundress or skirt. They are low profile and subtle, but quality and luxurious in their own minimalistic way. 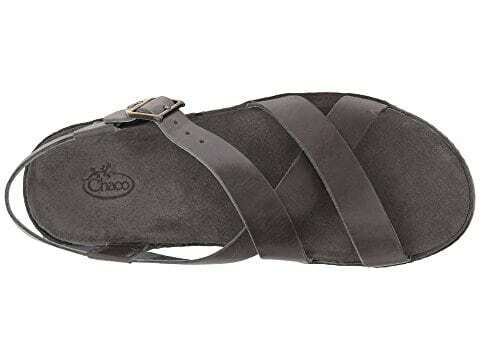 Find the Chaco Wayfarer Sandal HERE.